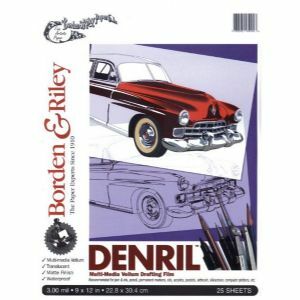 For superb renderings with nearly all media - pen and ink, pencil, markers, pastels, oils, etc. Combines the best qualities of paper and film; easily erasable, no ghosts when redrawing; transparent enough for pin-point tracing; won't rip; anti-static. No discoloration or drying with age. Uniform matte finish both sides.